Hogmaster Purchase for a New Community Pub! The power of community spirit should never be underestimated, and it is amazing what can be achieved when people pull together to reach a common goal. This was certainly the case for Hannah and her neighbours in their local village, who all teamed to pool their finances, resources and sheer determination together to open their own community pub! Since the sad closure of the only pub in the village 5 years ago, there had been nowhere for the locals to go to relax and socialise after a long day at work. Since then the building had remained empty and unloved-until everyone came together to do something about it! Whilst the journey to re-opening it as The People’s Pub had been a team effort, Hannah had been the driving force behind getting the idea off the ground and making it happen. When the long-awaited opening night finally arrived, it was only natural that Hannah was in charge of planning the event. 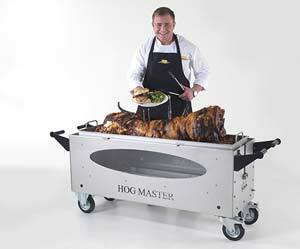 She wanted to provide some food that would capture the community essence of the place, and she thought nothing would achieve that more than having everyone gathered around a delicious hog roast as it slowly roasted! She put it to the pub committee that they should invest in a hog roasting machine, but at first, they were concerned it was more than their tight budget could stretch to. 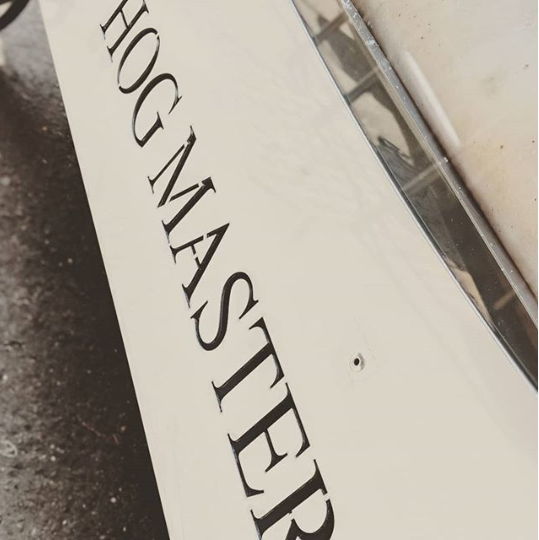 When Hannah called us to enquire how much it would cost, she and her fellow villagers were delighted when they learnt what excellent value for money our Hogmaster is, both in the initial cost of purchasing it and how economical it is to use. 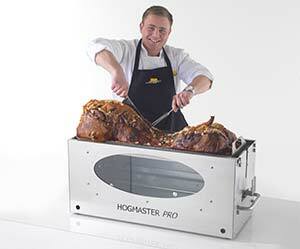 The Hogmaster can cook up to 75kg of pork, which meant the whole village could be fed for a very reasonable price! We delivered the pub’s new investment in time for the opening night and talked Hannah (who had also volunteered to do the cooking!) through how to use it. Hannah was relieved that it was much easier to use than she first thought, and after wishing her luck for the big night we left her to it. Hannah couldn’t wait to call us the next day to tell us how well it had gone! She told us that sharing some delicious locally-sourced pork cooked in the village’s jointly owned new Hogmaster machine was the perfect way to celebrate the opening of their community pub and the whole village are looking forward to gathering around their Hogmaster to enjoy the fruits of their labour for many years to come!